Fixing a leak on the roof can be like finding a needle in the haystack. Many times, the leak ends up in a different place than where it starts. Even if it’s raining, it can still be difficult to find the origin of the leak. You’ll need to look for water marks, discoloration and stains in the attic. Use light. Look for the leak during the day. Use a bright flashlight to follow the stains and water marks. If you can get up in the attic when it’s raining, you may be able to follow the water. Work backwards. It’s rare that the leak is directly where it’s coming in. Water travels down a path until finding a vulnerable spot to drip down. Add water. When the weather is clear, send a friend up to the roof with a garden hose. Have your friend systematically work across the roof, one area at a time. Fixing a roof is not always a DIY project. 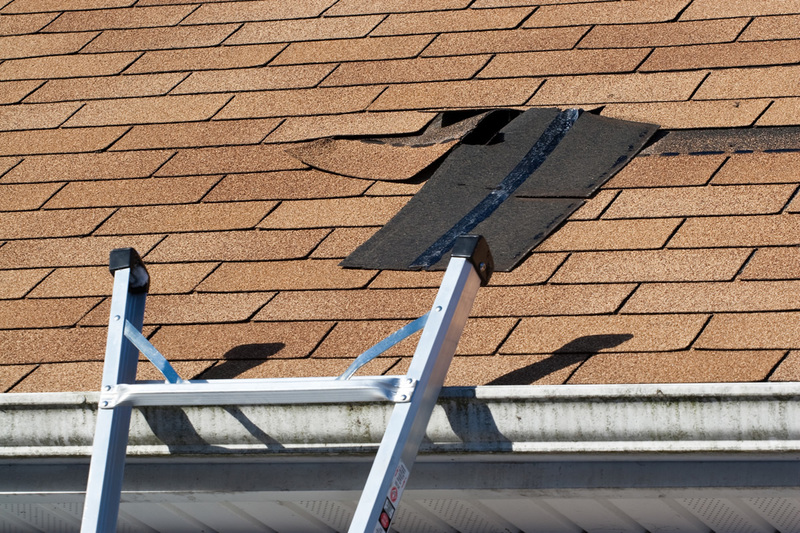 You might void the warranty of your roof if you try and fix it yourself. An older roof may be disintegrating even more. When you don’t know what you’re doing, you could create an even bigger problem. Steep roofs are extremely hazardous too. Most homeowners don’t have the right tools or even know how to repair a roof properly. Unless you’ve done roofing before, it’s better to call a professional to ensure that the job is done right. Andrews Roofing has 20 years of experience in residential roofing. If your roof is leaking, protect your largest investment by sending an email to ben@andrewsroofing.net or completing our contact form to get a free estimate for your next project.